We create displays to promote your business through window advertising, store-front displays, or large billboard ad campaigns. We’ve created props for museum displays, trade shows, restaurants, storefronts and theme parks. 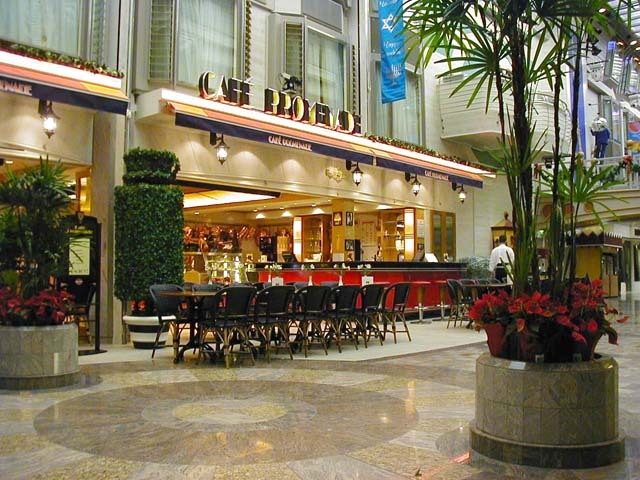 We custom designed and built three large topiaries to go in front of the Cafe Promenade on board the Adventurer of the Seas, a Royal Caribbean cruise ship. The topiaries were created to look real, but are actually made of faux English ivy and moss. The faux ivy fooled even the most discerning eye! A crew member who was responsible for the care of all plants asked us how often the topiaries needed to be watered! 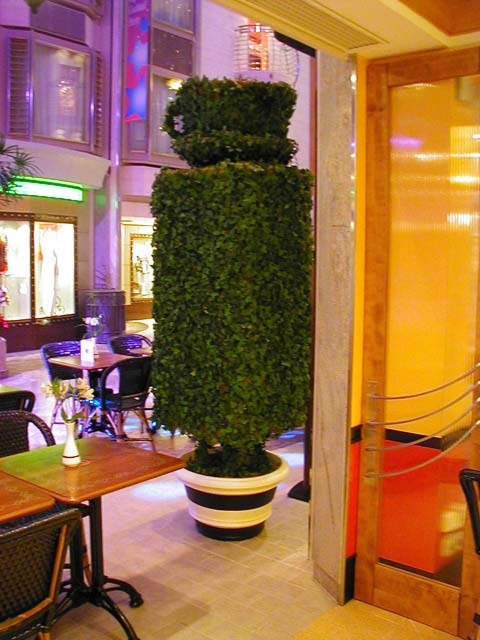 The topiary specs were provided by an architectural firm Morris Nathanson Design. CAD drawings ensured that the space constraints were met. Welded steel frames provided a secure structure for the topiaries. The frames had real moss and silk English ivy stitched on to them. We created this ladder for Exhib-It! which has been displayed at national monuments throughout the U.S. The ladder is designed to easily come apart for shipping. 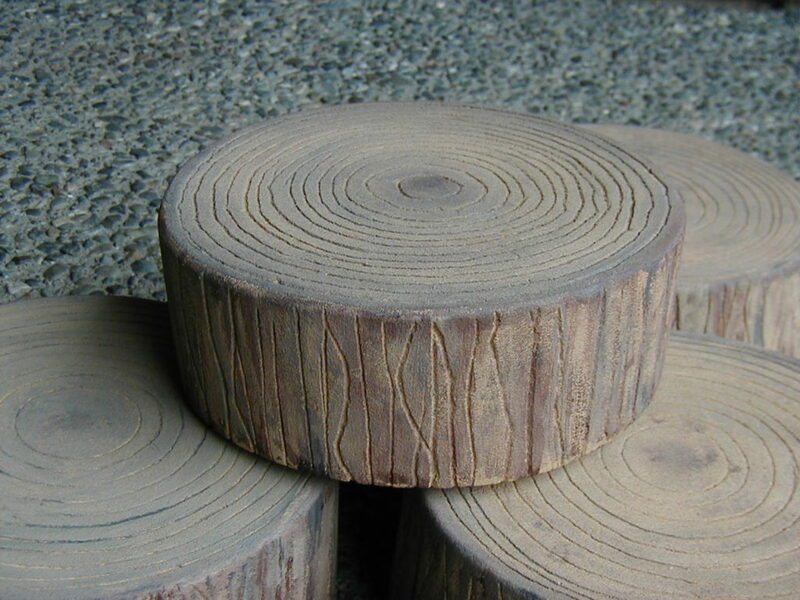 The names of the national monuments were burnt into the wood rungs using a laser. Eight inch log ends (Vigas) were carved from high density foam to look like real wood. The hand-painted pieces are light enough to attach to a wall with Velcro™. We designed and fabricated a Jester figure and costume for the Muckleshoot Casino in Auburn, WA. 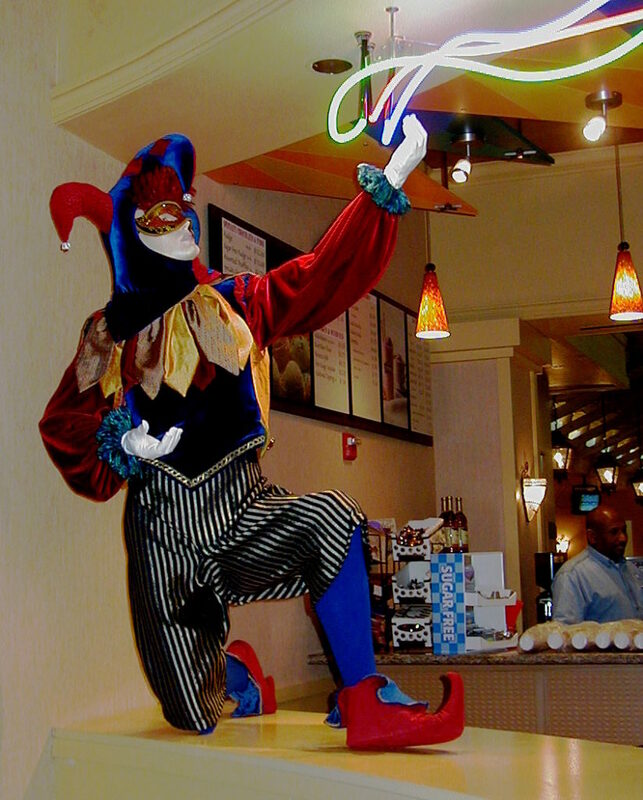 The Jester provides a fun and magical element to the Muckleshoot Casino ice cream and candy shop. Neon lights stream from the jester’s finger tips. 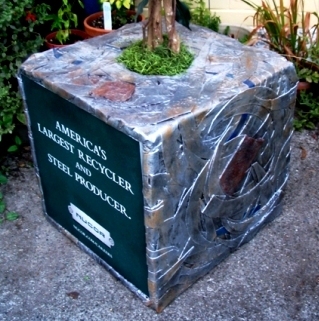 Eric Mower & Associates commissioned us to design and fabricate 30 simulated recycled metal cubes with a faux Ficus tree growing out of the middle. These props are displayed at trade shows to help promote recycling by NUCOR, the world’s largest recycler and one of Eric Mower & Associates key clients. Send us a message or call us at 425.260.8949.